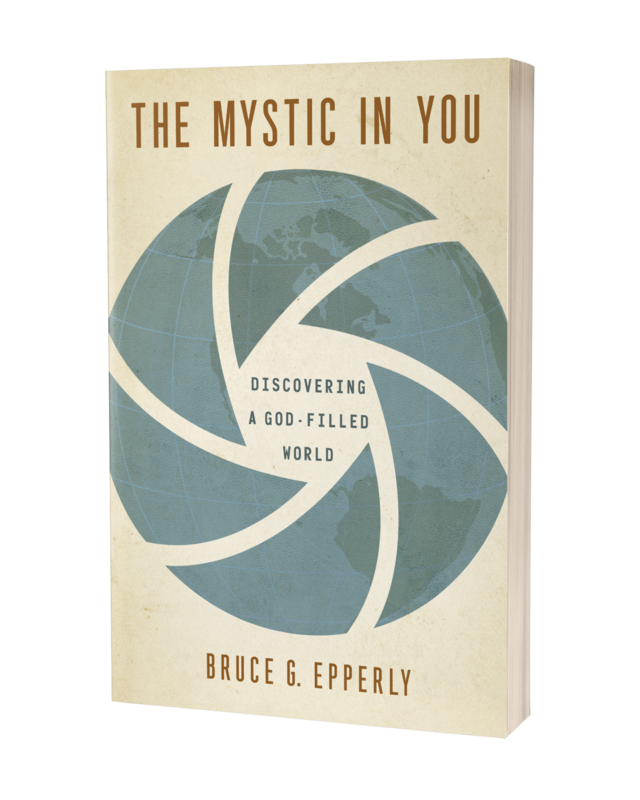 Part 1 of a three-part series from Bruce Epperly, author of The Mystic in You. For the past four years, I have taught a First Monday seminar titled “A Month with a Mystic.” Each month, I tell the story of a Christian or Jewish mystic, describing their encounters with God, and sharing spiritual practices based on their understanding of God’s presence in their lives and the world. At nearly every session, a newcomer asks, “What is a mystic?” and confesses that they could never imagine the term mystic applying to themselves. There are a variety of definitions of the words mystic and mysticism, many of which suggest that mysticism involves otherworldly, esoteric, and ecstatic experiences or rituals. While such definitions apply to certain mystics and mystical experiences, I believe that mysticism relates to our experiences of God, the Holy, and Wonder. Some mystical experiences take us beyond the world of the senses, but most mystical experiences involve everyday encounters with God in which we see the world, ourselves, and others with new eyes and receive guidance from a wisdom and power greater than our own. From this perspective, there is a mystic in everyone waiting to emerge at the right time and place. You may not know it yet, but you are a mystic! In his sermon at the Athenian Areopagus—the marketplace of philosophical and spiritual ideas—the apostle Paul proclaimed that God “is not far from each one of us. For ‘In him we live and move and have our being’ ” (Acts 17:27-28). Paul asserts that God is present everywhere and in all things. It is impossible to escape God’s presence and insight. This is the meaning of the theological term omnipresence. Jesus told his disciples — and us — “you are the light of the world” (Matthew 5:14), and John’s Gospel asserts that “the true light, which enlightens everyone, was coming into the world” (John 1:9). God is here and in your life! The Bible can be seen as a textbook of mystical experiences. In the biblical story, God is not distant from our world, but is intimately involved in persons’ lives and the affairs of history. God wants to be known and God has a message for each one of us. Sometimes these messages are dramatic, like Paul’s encounter with Jesus on the road to Damascus (Acts 9:1-9) or Moses’s meeting God in the form of a burning bush (Exodus 3:1-15). Other times, God meets us in a dream, such as Jacob’s dream of the ladder of angels (Genesis 28:10-19) or the dreams of the magi and Joseph warning them of Herod’s plans to kill the baby Jesus (Matthew 2:12-15). As Quakers assert, God may come to us in silence, in a still, small voice such as the voice Elijah heard, asking us, “What are you doing here?” and then sending us on a holy adventure (1 Kings 19:11-13). Although the biblical portrayals of mystical experiences primarily involve males, women also receive God’s guidance, inspiration, and mission. While going about her daily chores, Mary, Jesus’s mother, encounters an angel and receives her vocation as the mother of God’s Chosen One. Elizabeth feels her unborn baby leaping in the womb when she encounters the pregnant Mary. Mary of Magdala comes to the garden alone, grief-stricken after the death of Jesus, only to hear Jesus call her name and commission her to share the good news of resurrection. I believe that there is a mystic in each one of us. God wants us to experience beauty, love, grace, and healing. The love of God incarnate in Jesus reminds us that God is present in all things. Every encounter can be an open door to divine wisdom. In every face, we can see the face of God. As we do unto the least of these, we do unto Christ (Matthew 25:34-40). 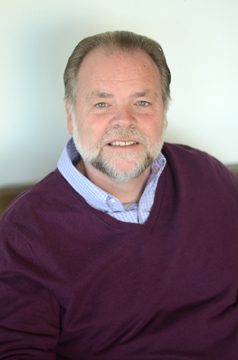 Bruce Epperly is a pastor and seminary professor, husband and grandparent, and reader and walker. He is the author of numerous books, including The Mystic in You: Discovering a God-Filled World (Upper Room Books, 2018). What is a mystic? Bruce Epperly defines mystics as people who see holiness in everyday life. We can be mystics without leaving our families, disengaging from daily responsibilities, becoming a priest, or joining a monastic order. Epperly shows how we can experience the living God in the midst of daily life and never again take everyday events for granted. Read more . . .